This is a simple, challenging and I think addictive 2D Unity game intended for Android and is my "just finish something" first game. 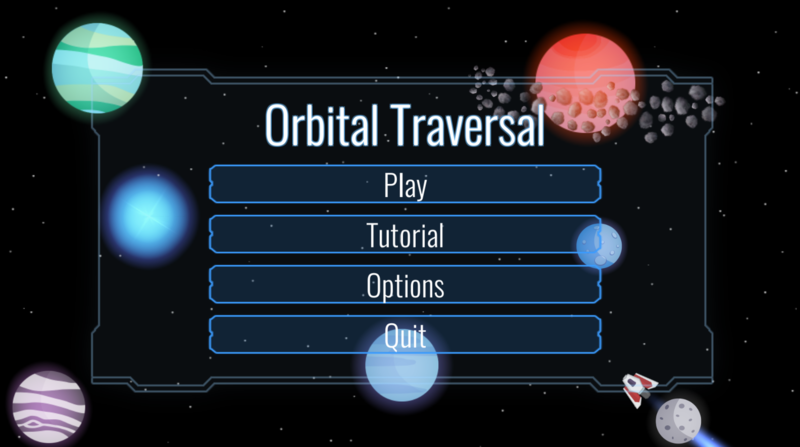 The basic mechanic is multi-body gravity and navigating through planets and asteroids to reach the goal. Each planet asserts a gravitational force, even moons orbiting planets use realistic physics. To move the ship you tap in the direction from the ship you'd like to go and the longer you hold the greater the force. The game will have two modes, the first is the main mode in which the goal is to complete each level with the minimum amount of fuel and trophies are awarded for 3 tiers. Once you get gold on all levels you unlock the timed mode where fuel doesn't matter and you just need to complete each level as quickly as possible. I've finished all the basic elements and am just working on the UI, scoring before I release a 1.0 build. I currently have 17 levels and have plans for at least 20-25. It's amazing how challenging a complete game can be even if it's not extremely ambitious. I'm more technically inclined than artistically inclined so the majority of art is free CCS licensed art from the Asset store and opengameart. Here is a GIF of one of the mid-game levels and an image of the Start Menu.